“I train with Redcord because I believe it is the most effective and most appropriate training method for me as a cross country skier” says former Olympic Champion and member of the Norwegian sprint team Oystein Pettersen. 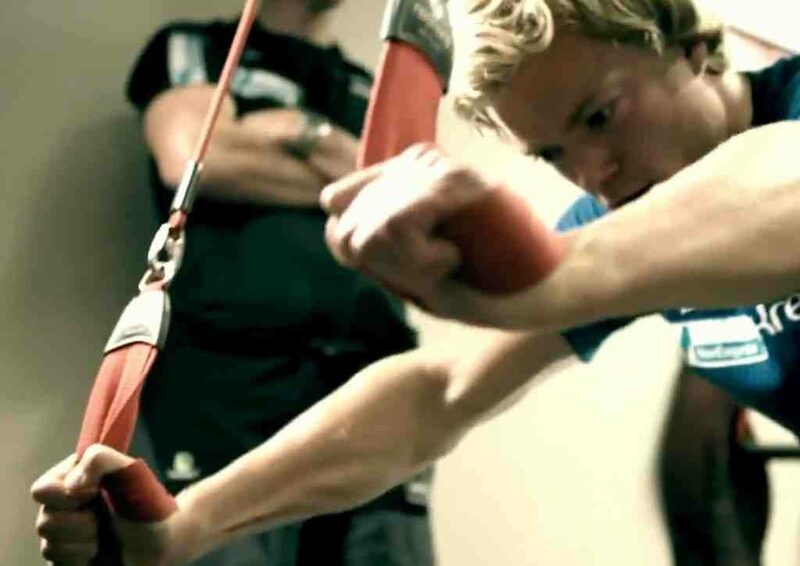 The Norwegian skiers bring their Redcord Minis along wherever they go. In just a couple of seconds, they are ready to do a total body workout, with a special focus on their core muscles. – I really believe in exercising the whole body instead of jus focus on isolated muscle groups. With Redcord this is possible in every exercise. I also love that you can adapt the exercises to your personal fitness level. This enables me to train together with my mates in the gym, and we can do the same exercises at our own level. I love it, says Pettersen.